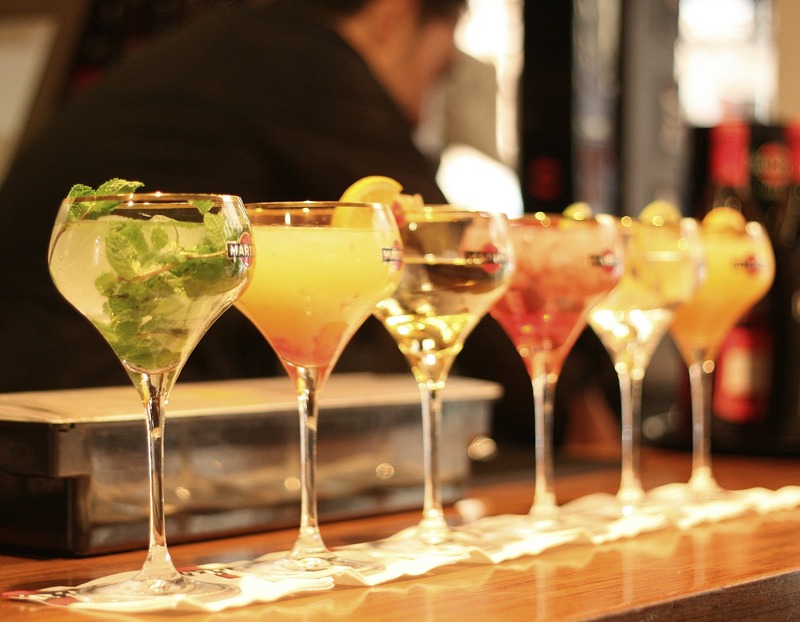 Cocktail receptions are particularly popular in business world because they offer a great deal of flexibility and networking for both the host and the guests. A cocktail reception can last anywhere between one to three hours. A lot depends on the food menu accompanying the drinks. If you are offering a dinner following cocktails, then the cocktails time should not exceed two hours. However, if you are hosting cocktails only, then the reception can last up to three hours. If your cocktails’ timing encroaches on to the usual dinner time, then your food menu must be more extensive. In that case, also plan for more quantity of food per person and make sure that coffee is also served. Count on average guests eating about 25 pieces per person. Setting for a cocktail reception is particularly important; know to place a premium on it. Choose carefully from the available options. A terrace with a view or a location looking on to sunset can add allure to your cocktails. A setting can be further enhanced with minimal expense, for example placing twinkle lights in the greenery. If you choose an outdoor site, make sure to visit it at night to see how it looks at the time of the day when your reception will be in progress. For indoor cocktails, pay attention to the layout of the room. Is it a banquet hall or a lounge allowing all guests to be in one area or does it involve several rooms or alcoves? Too many nooks and corners will sap the vibrancy of your party. At cocktail receptions, food staging has a key role to play. It has to be aesthetic and pleasing to eyes. You should have a clear idea of the food and beverage arrangement before deciding on the venue. Generally, it is better to have food stations and bars as well as passed hors d’oeuvres and drinks. If some sort of entertainment show is planned, then it may be better to provide some seating for those who may want to sit down to watch. Usually, provide seating for about forty percent of the guests. The idea of cocktails is to have your guests immersed in the evening, socializing and comfortable. The music at cocktails should always be toned-down to remain in the background. However, if there is entertainment it should be comfortably audible to the guests. Also keep in mind the weather expected at the time of your reception. There is nothing better than an outdoor area with cool breeze caressing your guests. But don’t think outdoor when a hot or highly humid evening is on the cards. When several competing events are going on at a convention or exhibition, energy at your reception is what will hold the guests at your party. In such cases a smaller location is a better bet than a well spread-out venue. Make the atmosphere, such as music and temperature, cosy so that the guests are in no hurry to leave. When you are having appetizers passed, make sure you have only one food item on each tray. It betrays a sense of abundance. Work on the presentation of the trays and have limited number of items per tray. Balance your menu to cater to different tastes and to take into account culinary restrictions of your guests. Make sure the pieces served are small enough to be consumed without the help of cutlery. Ensure that the items at food stations are restocked quickly and the required utensils are available at each food station. Place the food stations and bars apart enough to avoid congestion. Pay attention to clearing used glasses, plates, forks, and napkins. Have enough waiters on hand to clear efficiently. Provide high bar tables for the guests to place their glasses on. Generally, account for three glasses and plates per guest.